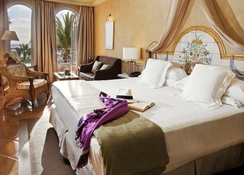 In the Gran Hotel Bahia Del Duque Resort you can live an authentic luxury experience. It is located in front of Playa del Duque, in the south of Tenerif and its facilities provide a range of services from solariums and outdoor swimming pools to playgrounds for children and teenagers. In addition, there are many rooms to choose from, from complete villas to luxury, double or family rooms. Entertainment programmes are also conducted by the staff. 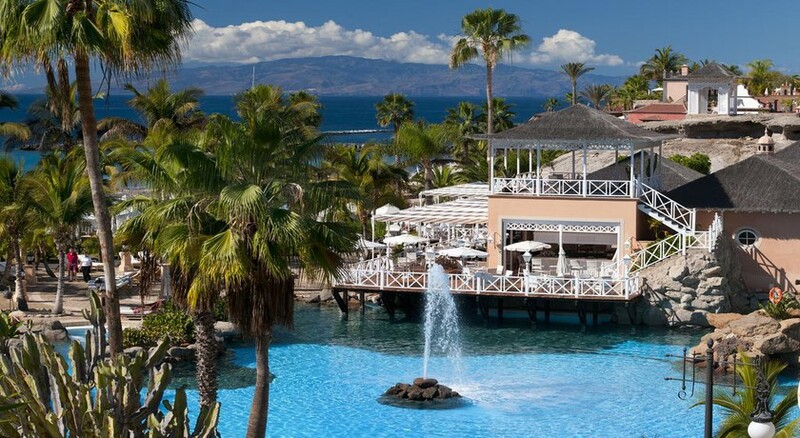 Enjoy some regional cuisine at Las Aguas, one of the 9 restaurants in this complex. 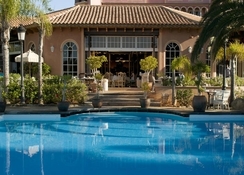 Gran Hotel Bahia del Duque Resort also offers 24-hour room service and a cafeteria. Put the icing on the cake to a fantastic day with a drink in the bar or lounge or at the bar next to the pool. A free hot and cold breakfast buffet is served daily. There are several types of rooms to choose rom. 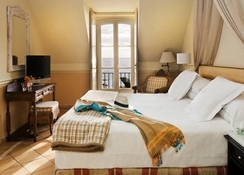 Standard rooms come with all kinds of comforts, such as L'Occitane products in the bathroom and free Internet access while the ducal houses you have more spacious, authentic luxury rooms, with butler service, safe deposit box and room service 24 hours a day. Finally, there are the great villas, with a private pool and solarium and gardens. Embark on a gastronomical journey as you explore international, Italian, Japanese, French, Basque and Canarian cuisine and a host of house wines, cocktails, beers and alcoholic/non-alcoholic drinks and mocktails at the 9 restaurants and 12 lounges at the hotel complex. You can even enjoy snacks at the Beach Club or its ice cream parlour. 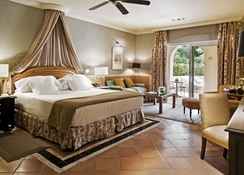 Gran Hotel Bahia del Duque Resort has many services, since it is a luxurious complex. For those who want a relaxing experience, there is a spa, with treatments of all kinds, from hot stone massages to the Vichy shower. or those traveling as a family, they have the Duqui Club, for young children and the Teen Lounge for older kids. Finally, there are large outdoor gardens with swimming pools and terraces to enjoy the good weather that is always on the island.